Aaron Venables a comic book artist and illustrator. Currently working on a new original comic ha has also written set in the near future in London about hot rod racing. His comic work is more of an alternative indie style that has a mix of Sci Fi and comedy. 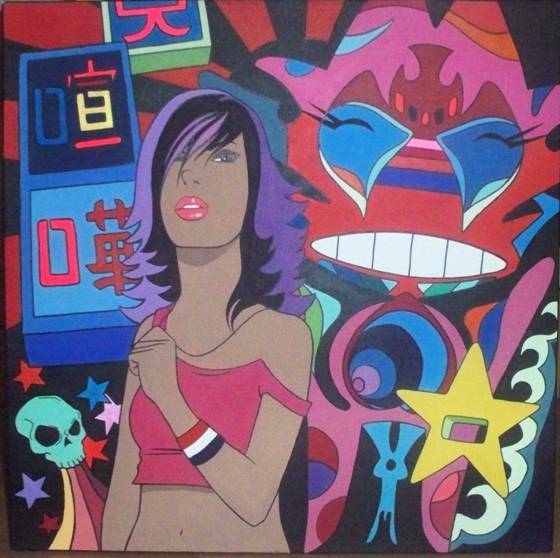 He also does comic style paintings and illustrations which are often influenced by surf, skate and music. Come and see Aaron’s works at the ‘Chaos Control’. This entry was posted in Artists and tagged Aaron Venable, chaos control. Bookmark the permalink.